The seventh annual performance of “A Seasonal Choral Flourish” will be presented at 7:30 p.m. Friday, Dec. 9, and Saturday, Dec. 10, at St. Peter the Apostle Catholic Church, 812 S. Pearl Ave. 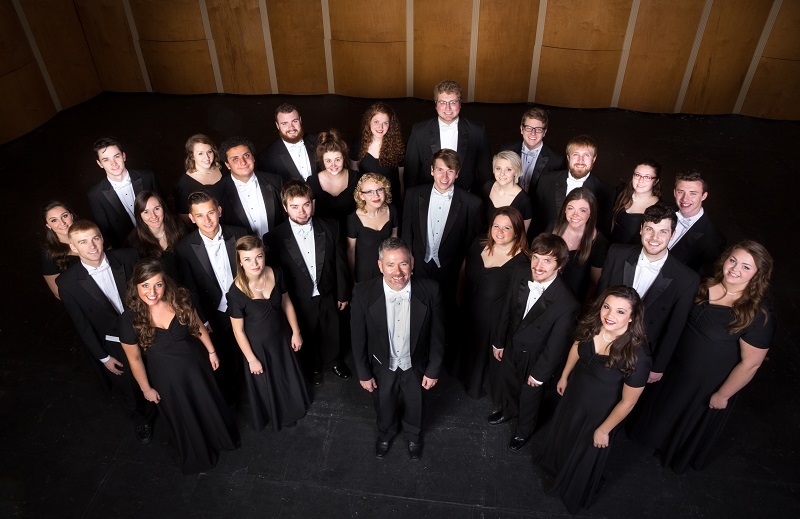 Presented by the choral/vocal division of the Department of Music at Missouri Southern, it will feature performances by the Chamber Singers, Jazz Unlimited and the Concert Chorale. The Missouri Southern Trumpet Ensemble and Brass Quintet will offer pre-concert music starting at 7 p.m. The concert will include a performance of English composer John Rutter’s “Gloria,” a three-movement work for brass, choir and organ. “There will also be a variety of music centered around the holiday season, with all three groups performing a varied repertoire of music,” said Dr. David Sharlow, conductor. “There will be seasonal favorites and works from the Renaissance to the modern period. Last year, the concert expanded to two nights due to audience demand, said Sharlow. “The doors open at 6:30 p.m., and I always advise people to come early,” he said. Admission to “A Season Choral Flourish” is free and open to the public.